Finally, the NFL has returned. For months we've been forced to go without it, and now that the 4-week tease that is the preseason has ended, it is time for real games to start. At this point, I'm sure most fans would watch just about any game that the league threw at us, but there are a few games that stand out on the schedule as one's that will be highly entertaining to watch (even if you don't have fantasy players on their teams). The season kicks off in a big way on Thursday night, as we get a rematch of this past season's AFC Championship. 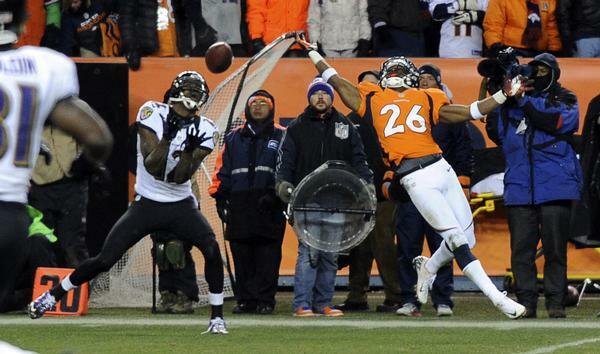 We have the defending champion Ravens taking on Peyton Manning and the Broncos. This game has tons of things to watch for, such as how the Ravens' defense will fair with the losses of Ray Lewis, Ed Reed, and others. We'll also get to see how Joe Flacco performs after getting a huge contract this offseason, as he'll be without his number 1 target from last year, Anquan Boldin, who was traded to San Francisco. He'll also have to make due without Dennis Pitta, who was lost for the season with a fractured hip. On the other side, we get to see Peyton Manning put on a show like he does every week, and he'll have a new weapon at his disposal with Wes Welker. We know that the passing game is set, but we'll have to see how the defense holds up with Von Miller being suspended, and the loss of Elvis Dumervil (to the Ravens) because of a contract mishandling. 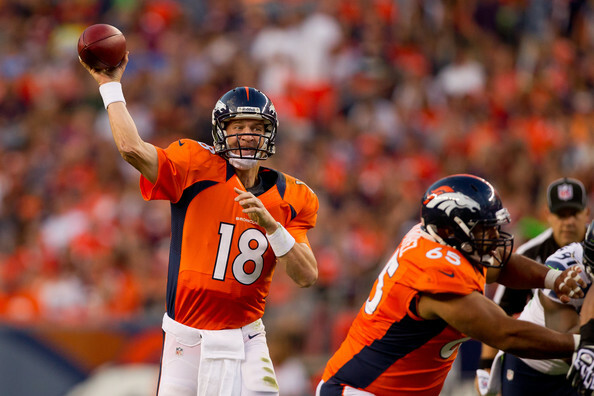 On top of that, we're going to see how the Broncos handle their running back stable. They have rookie Monte Ball, Ronnie Hillman, as well as former first round pick Knowshon Moreno. It's likely that Ball and Hillman will carry most of the load, with Ball getting the goal line carries, too, but if either of them falters, I don't think John Fox will have a problem throwing Moreno out there. This has developed into one of the better rivalries in all of football, and this game should be no different. 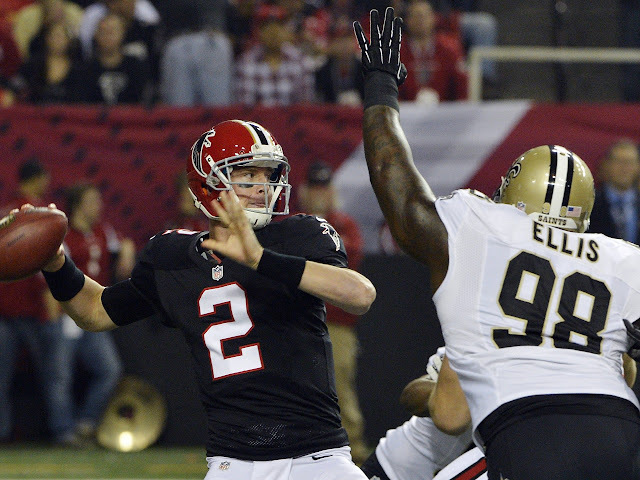 The teams split the season series 1-1 last year, with New Orleans winning by 4 the first time out, and Atlanta avenging their loss with a 10 point win in the Georgia Dome. I expect the Saints to improve on their 7-9 record from last season, as head coach Sean Payton will be returning to the sidelines following a year-long suspension because of the "BountyGate" scandal. This will be a huge help for the Saints and Drew Brees, who will also look to improve on last season. New Orleans didn't really gain any impact players through free agency, but safety Kenny Vaccaro out of Texas could wind up being a big playmaker in their secondary, which the team hasn't had since the days of Darren Sharper (one of the most hardest hitting safeties in the league *Language NSFW*). In Atlanta, it's really do or die this season. The team has been incredibly successful in the regular season, but it hasn't translated to postseason success. With Matt Ryan in the last year of his contract, you have to imagine that he's going to do everything he can to get the team on the right track right out of the gate. I certainly be watching the Falcons' backfield in this game, as the team added long-time Rams running back Steven Jackson this offseason. I think it'll be strange to see him in another jersey, but I have no doubts that he'll be able to produce like we are accustomed to, especially since the offense won't be on his shoulders like it was all those years in St. Louis. We get to see another playoff rematch, as the Packers and 49ers square off in a matchup we saw in this year's NFC Divisional round. The 49ers took that game by 2 touchdowns, but I expect this game to be a bit closer. 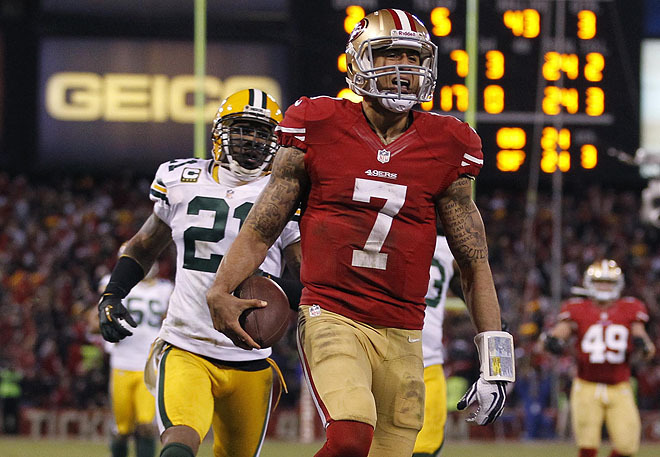 If you don't remember, this game was potentially Colin Kaepernick's best game of the year. He threw for 263 yards and 2 touchdowns, and also picked up an astounding 181 yards and another 2 scores on the ground. It'd be unreasonable to expect him to duplicate those numbers, though, especially given that he lost his favorite target in Michael Crabtree, who tore his achilles during OTA's. Something to watch is how his chemistry with tight end Vernon Davis has developed from last year, as Davis essentially went missing once Kaepernick unseated Alex Smith as the starting quarterback. On top of that, the team added Nnamdi Asomugha and Eric Reid to an already solid secondary, but we will have to see if those two can offset the loss of Dashon Goldson, who went to the Tampa Bay Buccaneers in free agency. With the Packers, the running back situation will be front and center as far as what to watch. Rookies Eddie Lacy and Jonathan Franklin will look to take a majority of the carries, but the team also has James Starks, who could steal some touches from that duo. The team is looking for more stability in the backfield after dealing with numerous injuries and overall ineffectiveness last year. We will also get to see who steps up an fills the void of Greg Jennings as the number 1 receiver after Jennings bolted to Minnesota this offseason. With Jordy Nelson coming off knee surgery, it is unclear if he'll be able to step up in Week 1, so look for James Jones to get a ton of looks. He hauled in 14 touchdowns last season, and I expect him to add at least 1 this week. (He's starting on my fantasy team, so he better). Follow Brian Rzeppa on Twitter, and check out his NBA work at The League News. Those three games are going to be awesome! I'll be watching the Packers/Niners game... supporting the Pack. But I have a feeling Rodgers is in for a long day. The Niners D is going to eat up the weak O-line. Either way.. Go Pack Go! That 49ers D certainly strikes fear into the heart of any team, especially one with such an inexperienced O-Line. It'll certainly be a great game, probably the best of the weekend. Could This Be The Worst Punt Ever? What's Next For Josh Freeman? Week 3: Start 'Em or Sit 'Em? Tru School Of Kicks:Air Jordan 1 "Orlando Magic"
Daniel Bryan Stripped of the WWE Championship. Darrelle Revis vs Richard Sherman: Who's Better?